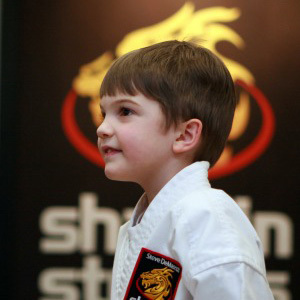 Martial arts for preschoolers and very young children. Yes, children under the age of five can learn the martial arts, in the proper environment with an appropriately trained instructor. That’s what you’ll get at SDSS. Each class teaches kids to move appropriately, control their bodies, and develop the gross- and fine-motor coordination they need. 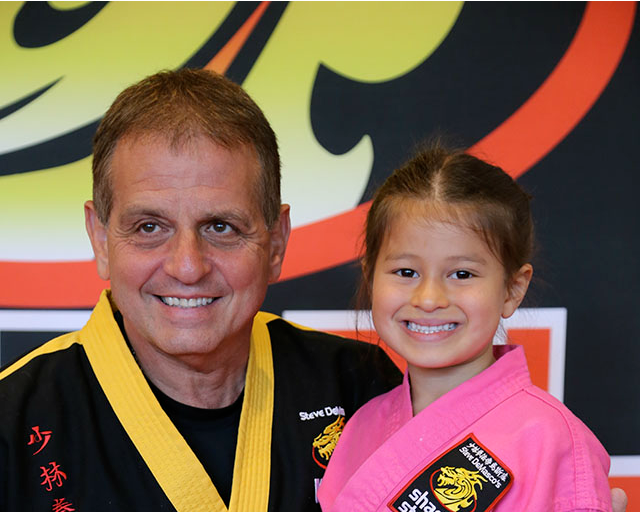 More importantly, kids learn the values of self control, self discipline, patience, respect, and honesty, that come as a part of Grandmaster DeMasco’s trademark Life Skills system. They learn to work and play well with others, in a fun and safe environment. 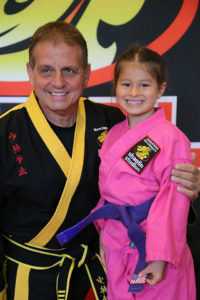 It is for these reasons, and many more, that Grandmaster DeMasco is endorsed by the U.S. Department of Education, the FBI, and the Shaolin Temple. It is his system that is taught in all our schools. Martial arts for young children. Tigers class provides the high-energy fun and life skills kids need for their early elementary school years. Each class starts with basics and exercises based on animals from the Shaolin Five Fist system, and moves into action-packed drills that develop each student’s skills. The values of self control, self discipline, patience, respect, and honesty are sewn into the fabric of every class, helping each child to learn the confidence she or he will need to become successful in school and in life. Martial arts for elementary and middle school students. Dragons class is a fast-paced and action-packed session of martial foundations, self defense, and fun, with just a little bit of good natured intensity and competition built in. Students learn the values of self control, self discipline, patience, respect, and honesty, while developing solid physical and self-defense skills. Students learn conflict resolution, improve the ability to follow directions, think and act independently, and take risks with confidence.